WHEN IN NEED TO BUILD COMPLETE RUGGED SYSTEMS WITH DEVICES THAT ARE FULLY CUSTOMIZABLE TO YOUR NEEDS. 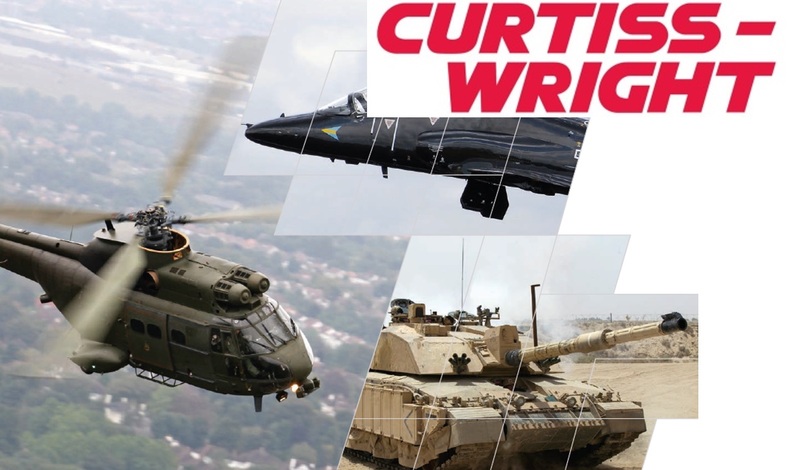 Curtiss-Wright Defense Solutions is a long established technology leader in the development of rugged electronic components and systems for commercial and defense applications. 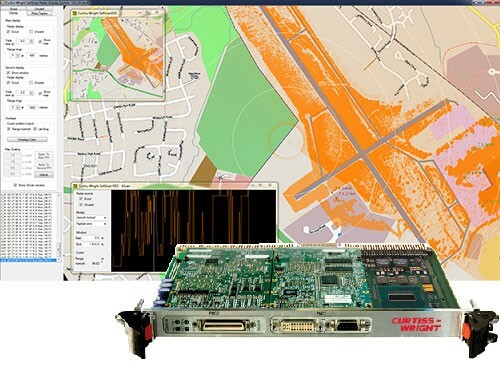 Experts in highly engineered commercial off-the-shelf (COTS) module and system-level products designed for deployment in harsh defense environments, our technology delivers real-time data to support hundreds of critical airborne, ground and naval missions globally. Curtiss-Wright delivers complete integration and support services that reduce interoperability risks, lower program costs and accelerate time to market. Our unmatched capabilities ensure the success of your program’s system development and integration. Curtiss-Wright is the technological leader in providing COTS products and open architecture solutions for mission computing, signal processing, graphics, communication fabrics, system and sensing I/O and data storage. The "building block" approach to providing solutions gives our customers great benefits with respect to cost, lead time and supportability. While providing these non-developmental items, the technology developed and the intellectual property also becomes a benefit for our customers in the ability to provide custom or point-design products when necessary. Curtiss-Wright's Vanguard Bus Analyzers, Exercisers, Protocol Checkers and Compliance Checkers are available in VMEbus, PCI, PCI-X, CompactPCI, and PMC form factors. The VME bus analyzer supports VME, VME320 and 2eSST protocols. The PCI, CompactPCI and PMC bus analyzers support up to 133MHz PCI-X protocols. 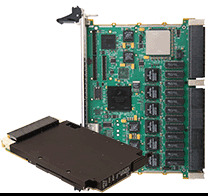 Curtiss-Wright has built a range of customer programmable, high-speed recording products based on commercial-off-the-shelf (COTS) components and open standards such as VPX (VITA 46), VPX-REDI (VITA 48), OpenVPX (VITA65), VXS (VITA 41), VME, PCI/PCI-X, PMC/XMC, Fibre Channel, Serial FPDP (sFPDP) and Front Panel Data Port (FPDP/FPDP II). 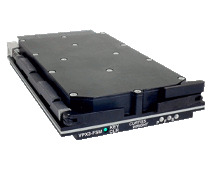 Curtiss-Wright Direct Attached Storage products enable solid state and rotating media to be incorporated in embedded computing VPX and VXS system solutions for a wide range of applications. Direct Attached Storage (DAS) enables data storage devices to attach directly to the host. These data solutions are scalable, enabling storage of your critical data from multiple Gigabytes to Terabytes. In addition, some of products feature encryption and sanitization capabilities allowing you to keep your information secure. 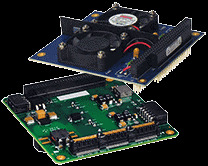 Curtiss-Wright's family of graphics controllers and video frame grabbers are specifically designed for providing man-machine interfaces where graphics and sensor imagery must be combined. These modules are supported with standards-based X11 and OpenGL software interfaces. Cards are available in 3U or 6U VPX, XMC, PMC and PC-104 Plus form factor. 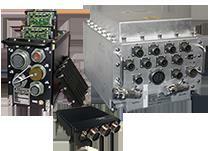 Curtiss-Wright offers buffer memory products in the VPX and XMC form factors. Buffered memory can be used to stage data before it is processed by a distributed multi-computer. It can also be used to capture data in applications that require real-time snap shots. Other common implementations of buffer memory include serving as a central database for compute nodes or providing a canvas for imaging applications to reconstruct post-processed data. Real-time, mission-critical systems demand fast and reliable movement of information between various elements of an interconnected system, and Curtiss-Wright offers high-speed COTS data communications and I/O products that will meet your program requirements. 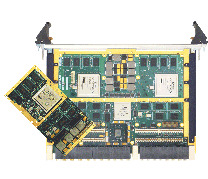 These products include PMC, XMC, PCIe, PC/104, 3U VPX, 6U VPX and VME cards designed to popular communications standards such as ARINC, StarFabric, MIL-STD-1553, Ethernet, CANBus, and Fibre Channel. 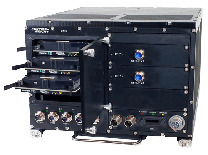 Curtiss-Wright switches and routers enable the vision of networked military and aerospace systems by providing systems integrators with a fast and powerful way to interconnect chassis, cards, and CPU's through switched Gigabit, 10 Gigabit and 40 Gigabit Ethernet as well as sRIO and Infiniband links. Operating at wire-speed, Ethernet switching and routing can be used to architect the infrastructure for unified (Ethernet only) or hybrid (Ethernet control and other switched data-plane fabric) networks for transferring IP-based control and data packets within advanced military systems. Switches and Routers Cards are available in 3U and 6U VPX, 6U VME and VME64, PMC, XMC and PC-104 form factors. Curtiss-Wright addresses the demands for increased data and signal processing performance, along with requirements for lower power and high performance I/O, through our full line of processor cards supporting Intel Core and Xeon D, NXP Power Architecture, AMD & NVIDIA GPGPU/Graphics, ARM and Xilinx FPGA processors. These processor cards include Single Board Computers as well as Data and Digital Signal Processor boards from mezzanine card to 3U and 6U form factors in on open standards architectures like VPX, OpenVPX, VME, XMC, PMC and VXS. 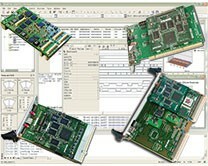 Curtiss-Wright supports the long lifecycle of defense and aerospace programs by offering most single board computers with backwards pin-compatibility to enable easy system upgrades from older products. Designed to fit the most rugged military applications, these COTS building blocks enable application stability and predictability. DO-254 safety certifiable COTS Single Board Computers (SBCs) along with associated artifact kits to support platform level certification enable rapid deployment of Curtiss-Wright cards in rugged conduction-cooled applications. Curtiss-Wright processor cards are supported by a range of Board Support Packages (BSPs), Signal & Data Processing Libraries, FPGA toolkits, device drivers, and other libraries and source code. Curtiss-Wright manufactures rugged DC/DC converter boards for stackable PC/104 and other small form factor embedded systems applications. Capable of supporting -40/+85°C extended temperature operation and high shock/vibration environments, these power supplies are routinely installed in vehicle and aircraft systems. Select models also support 1500V DC electrical isolation, remote power on/off shutdown capabilities and voltage input surge and spike protections per MIL-STD-1275 / MIL-STD-704. 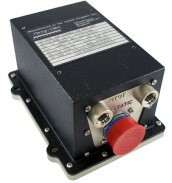 Curtiss-Wright has been designing and manufacturing Air Data Computers (ADC) products since 1976 and has an installed base of over ten thousand units. 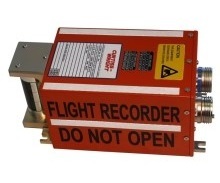 Crash Protected Recorders (CPR) was designing and manufacturing by C-W for over 60 years. Curtiss-Wright’s industry-leading Video Management System (VMS) offers complete surveillance solutions for airborne and other applications. The VMS includes scalable rugged displays, video distribution and recording equipment. The VMS components are highly interoperable and easy to install and reconfigure. As a fully integrated system, VMS uses the touch-screen technology on Curtiss-Wright displays to enable pilots and observers to independently select, view and record images with no signal loss from multiple camera and sensors. 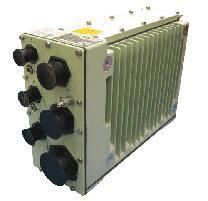 In addition, video transmission downlink via microwave is available. 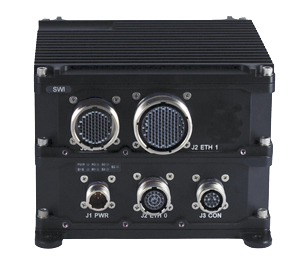 Curtiss-Wright rugged switches and routers enable mobile networks on-board vehicle and aircraft platforms to securely and affordably deploy digital network architectures for situational awareness and network centric operations. These rugged subsystems and card solutions give systems integrators capabilities for interconnecting cards, sensors and processors through switched Ethernet links. 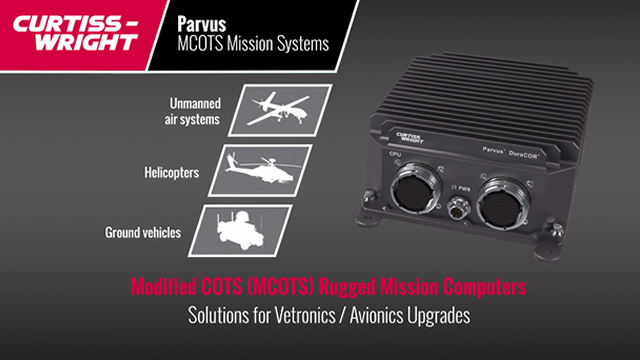 Products include rugged COTS mission computer subsystems (Parvus DuraCOR) that feature modular, expandable designs with powerful graphics and data processing capabilities together with ultra-reliable mechanical robustness. Mezzanine, 3U and 6U MPMC products are packaged COTS systems comprised of VPX, VMEbus or Compact PCI (cPCI) backplanes housed in rugged chassis fully pre-configured with power supplies. 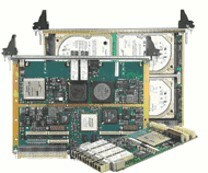 MPMC Systems offer the unprecedented processing power and standard interfaces required by modern mission computers. Curtiss-Wright has the system integration expertise to create specific system solutions, with tailored, optimized functionality for a specific platform or program. Our experienced systems design and integration teams will analyze your system requirements and conduct trade studies to identify appropriate board level products, analyze data paths and select suitable cooling approaches. Modified COTS, or MCOTS, can play an integral role in the success of ones upgrade program. With MCOTS, modular, open-architecture-based mission computers can be tailored to meet requirements, often without traditional NRE fees, in a matter of weeks. DuraCOR systems can be tailored and configured in virtually limitless combinations and a turnkey mission system can quickly be ready for platform integration. With MCOTS mission computers, military and aerospace contractors can leverage the full potential of modular COTS open architecture.